lonely town square or merriment to a neighbor's front yard. their bodys stiffen up and sometimes even freeze. have come to call "Spring Thaw." a.k.a. 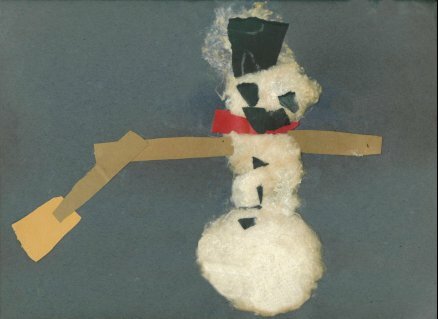 "The Big Melt." formed in Upper Michigan near the Canadian border many, many years ago. founded by Elias Fusealot and Uriah Stoop. Spondyvilleans of all ages. He is truly a SnowSpondy for the ages. In 2000, Stiffy saved the town, as chronicled elsewhere on this website. as part of a daring and unique attempt to raise awareness of AS. Which was, of course, his 2008 campaign for President of the United States. Nowadays, Stiffy acts as a goodwill ambassador, traveling around the world to visit and interact with Spondylitis patients. 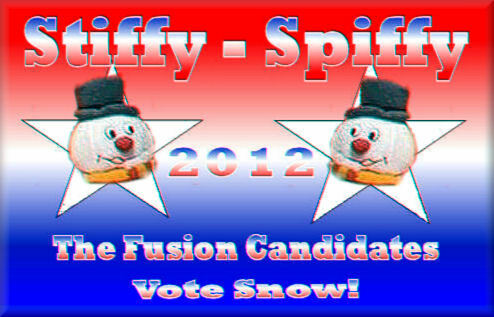 Stiffy the Snowspondy and his twin brother Spiffy also ran on the Fusion ticket in 2012. To view Stiffy's international travels, click HERE. 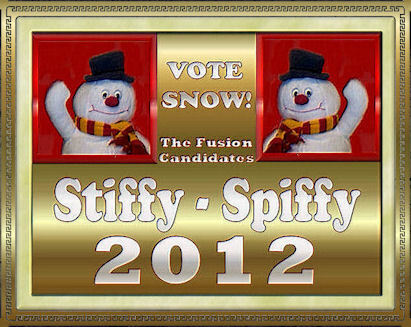 To view Stiffy's domestic travels, click HERE. 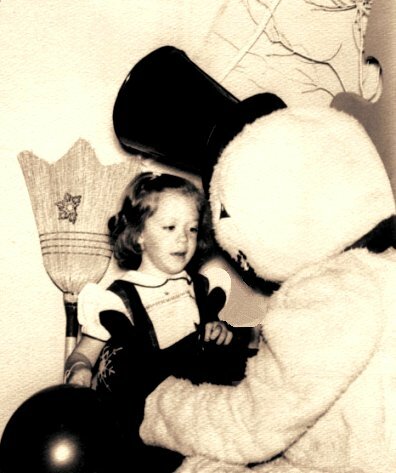 Vicki23, (Spenser23's sister), meets her first Snowspondy circa 1950.